I'm gleefully ignoring the queue of student papers that need feedback in favor of generating some of my own words. So off to the quicks with Jen we go. What oh what shall I acquaint you with? The Gparents Ramsay were in town last weekend and it was marvelous. It was lovely and relaxing and lovely and relaxing. 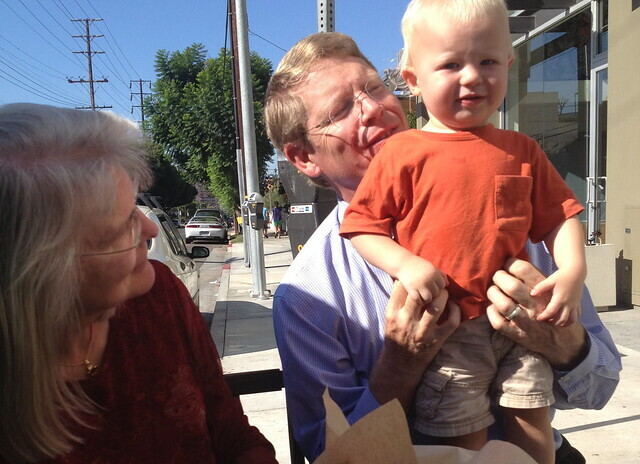 My folks do a lot of traveling to visit their various and distant beloveds, so they made it very clear that they had no expectations of elaborate schedules and merely wanted to be with their grandson. So that is what we did. We ate and drank and watched toddler antics all weekend. Seeing my son through their eyes made me realize how quickly he's growing and how little time I spend just...watching him. Now that they are gone I have returned to the land of list-making and doing everything I can to get Jake interested in some game/toy/project long enough for me to feel productive. Productivity is kind of like a plague. Jacob hosted a poker night with his Hollywood boys last night. They drank port and smoked cigars and argued about big and little blinds and talked about "their" (i.e. their bosses') movies. "We've got the rights to that book." "Congrats on Looper, dude." "We just signed Jake Gylenhaal." - How glamorous it all sounds, right? I'd trade it all for a real yard and some chickens. On both of those notes, now that Season 2 of The Walking Dead is on Netflix, we've been watching ourselves some wonderful post-apocalyptic (my fav and a half!) TV recently. Revolution gets a big fat lame-o in my book, but I'm probably gonna give it a few more episodes. Jacob and I have determined that we would kinda rock it sans electricity. We'd make a stand here in So Cal for a little while before we felt brave enough to tackle the desert and hike to Texas. However, Jacob says he couldn't choose that lifestyle if it were a choice - he wouldn't find value in merely forgoing electricity in order to embrace a more back to the earth existence. I see his point even with all my off-the-grid proclivities. But he's the one who made me look away from the ultra-sound screen so we could be "surprised" just like in the olden days, so I think that makes him rather inconsistent, and he should probably make up for it by getting me some chickens. I'm thinking about doing a sugar detox now that the lovely Mrs. Patton is rocking the 21 day challenge. 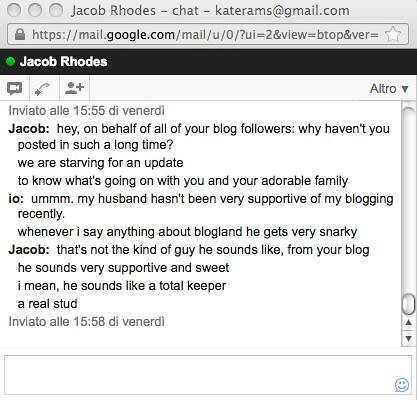 Don't tell Jacob it was Grace's idea because I've almost sold him on it and I think he'll balk if I'm doing it to "be like Grace." He thinks my long time dependence on the old CP is unhealthy. But you know what I say to that? There are plenty of others just like me. 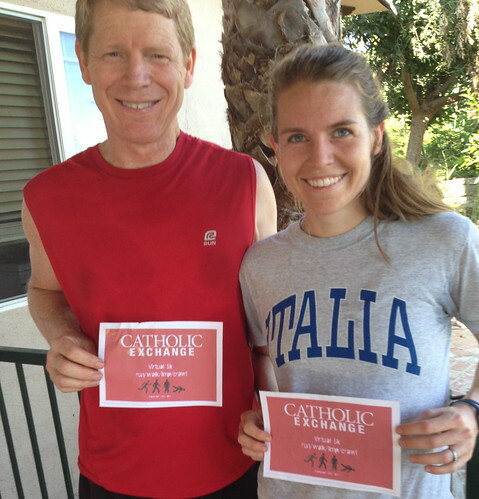 My dad and I ran the Catholic Exchange Virtual 5K last weekend - my first and last run of the month of September. We clocked in at a tepid 26:56. Perhaps it would've been more impressive if I weren't half dead and dry heaving for a solid five minutes afterwards. Dad was positively chipper throughout the whole ordeal. It didn't quite have the fanfare of other 5Ks I've run: sorely lacking in the sponsored snacks department. 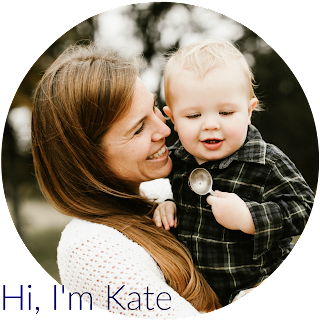 But I was accosted by a naked toddler upon my return and that was most definitely a first. Oh yes!! Homemade soda!!! My kefir water is the awesomest of the awesome, and I feel like a crunchy diva. The flavor you are about to witness is Probiotic Peach Vanilla. See it to believe it. My toddler does - on occasion - wear clothes.